How to judge if a police badge is real or just a fake? To be realistic, this is something you can not do until you know the real badge. 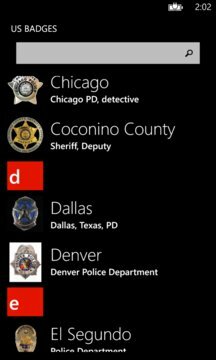 Therefore US BADGES shows you the real badges on your windows phone! 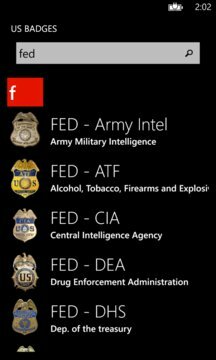 US BADGES contains a collection of police, sheriff and federal badges. This is the first release. Be patient - more and more badges will be added to this app.